Nymphenburg is an amazing baroque palace, located near the center of Munich. Literally in translation the name means "Palace of nymphs" and this lovely architecture and incredibly beautiful gardens attract thousands of tourists so it became one of the biggest attractions in the German province of Bavaria. Palace Nymphenburg was built in the 17th century to celebrate the birth of the heir of Ferdinand and his wife Henriette Adelaide, Savoy Maria. The architect of the future edifice was appointed Agostino, and was busy with the construction of the summer residence of senior ranking officials in Munich. The building of Nymphenburg is a cube like shape, but the exact year of its foundations in 1664 was the next step as it undergoes numerous changes and innovations. 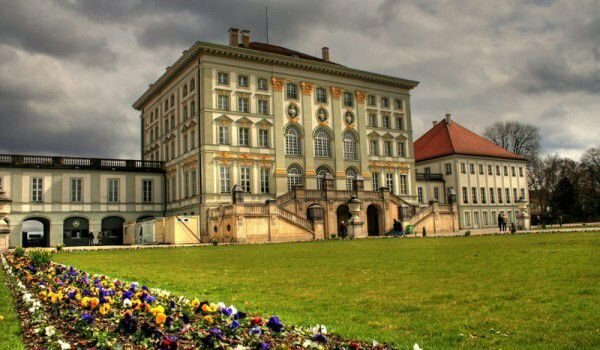 In Nymphenburg you can visit: the museum of porcelain, "Man and Nature", and the museum of the palace stables. Among the main attractions are the museum's magnificent carriages of King Ludwig II. The first, which is noticeable when you enter the museum is how impressive it is with its vast size. Besides its size, it is constructed in a beautiful style with multiple complex ornaments. The following exhibits inferior in size, but some also are inferior in beauty. Nearby you can see more carriages, exhibitions and the muzzled royal horses, which are separated in glass cabinets. The beautiful park and gardens of Nymphenburg are incredibly beautiful. Riched with about 180 hectares it is an excellent place for recreation, pleasant walks, and some sports. Numerous alleys, bridges and benches are located offering a peaceful and harmonious atmosphere. Nothing seems to disturb the peace in the gardens of the Nymphenburg. You can also enjoy one of the two lakes or channels that are cascaded with stone figures of the Greek gods. The Botanical Garden, is where you can see specimens from around the worldand and is a wonderful opportunity to discover the beauty of plant life. There is also a pleasant cafe where you can sit and enjoy the full beauty of Nymphenburg.